Patriarchal culture tends to treat femininity as inferior, and elevates masculinity, treating it as superior. Feminism aims to achieve gender equality by tearing down societal power structures that favor men over women. Historically, most of this struggle focused on ways in which women were directly excluded from certain spaces, roles, and legal rights which were afforded only to men. Over time, feminism was effective at breaking down most of these explicit legal barriers, yet inequalities persist, in areas as diverse as pay, representation in government and on corporate boards and other top power structures, and in the cultural treatment of women and men. Not all gender-based oppression though works directly through people being discriminated against on the basis of being women vs. being men: sexist or patriarchal culture also shames femininity, treating it as inferior, independently of who expresses it, and similarly, elevates masculinity. As the legal barriers are removed to women working in historically male jobs and roles, money and power disparities between these jobs and roles still persist. With the women's liberation movement, women began to move into numerous jobs, careers, roles, and positions in society that have historically been reserved for men. The progress has been slow and sometimes rocky, and is incomplete...direct sexism affecting women is still a problem in many sectors of society. Historically "masculine" jobs, fields, professions, and societal roles typically pay more and are afforded higher status in society than historically "feminine" ones. Professors earn more and are seen as higher status than elementary school teachers. Doctors earn more and are higher status than nurses. In many organizations, administrative roles and functions critical to the function of the organization are assumed by secretaries or "administrative assistants", who are typically lower-paid and given less authority even if they have more actual responsibility, than the people they are working "under". And working "under" communicates exactly how these things work: as a status hierarchy. Men, and people of other genders perceived as male, still face heavy social stigma for feminine self-expression as well as life choices. "Masculinity is a Prison" is a catchphrase in some feminist circles; the social construct of masculinity can be severely constraining. It is even evident in the most superficial ways. Consider men's clothing, dress, and presentation. How often do you see men wearing skirts or dresses? How about shirts with more feminine necklines? Short shorts? Heels or flats? Men wearing makeup? Even shirts with a feminine-looking neckline? All of these things are so taboo, they're enough to get a man, at best, stared or laughed at, and at worst, bullied, labelled as "creepy" or a "weirdo" or "pervert", or even subjected to harassment or violence, sometimes in the form of homophobia or transphobia. Examples of men expressing themselves femininely are scarce in our society, contrasting with examples of women expressing themselves femininely. The same pattern also plays out though in deeper ways, and the pressure men face relates directly to the fact that traditionally feminine roles are treated as inferior. Men are told that certain jobs would be beneath them and are pushed to be "more ambitious". Men can face social stigmas for going into certain careers, like nursing, whereas they're glorified for pursuing a career as a doctor. This relates to social pressure men face to be "breadwinners" and earn a higher income than women (in spite of there being evidence that this is not good for men's health). Men also can face greater skepticism working with children; they are more likely to be perceived as a predator or a threat and people are less likely to trust them with the care of children. Slate published a piece about how people are reluctant to hire men for child care, and another piece in an Australian newspaper talked about this same issue. In the UK, a conservative MP recently spoke out against men caring for children, reinforcing fear that they might be pedophiles. This stigma has long been cited as a fear that discourages men who would otherwise want to, from pursuing careers in child care. I would argue that, to stay true to its goals of gender equality, feminism must actively challenge the ways in which our culture elevates masculinity over femininity, treating femininity as inferior. Ironically, and very unfortunately, it is common for feminists and feminist rhetoric, to play right into the culture of placing masculinity over femininity, reinforcing it rather than breaking it down. Chelsea Forbes-Terry writes about this in her piece The Shame of Being a Feminine Feminist, and Anne Theriault writes a more actionable piece We Need To Stop Devaluing Femininity. I would go even farther than these authors, also examining the ways in which feminism and feminists approach the topic of communication patterns and styles. Feminism rightly recognizes a greater tendency in our society for men to use aggressive, domineering communication styles, often talking over women and sometimes taking credit for ideas that women came up with. But unfortunately, feminism sometimes falls into the trap of advocating for women to adopt this very same pattern itself. The mainstream impression of feminist dialogue is one characterized by a communication style that is angry, aggressive, and often cold, almost a caricature of the "toxic masculine" patterns of femininity. I would argue that feminism won't truly achieve gender equality until it starts emphasizing the importance of interpersonal warmth, empathy, listening, and the showing of respect in communication, all characteristics of stereotypically "feminine" speech. Summed up in a little tagline, I think we've passed the point of needing to teach women to become more like men, I think we now need to teach men to become more like women too. A video providing a somewhat radical take on how Feminism treats, and could treat, communication styles, and how that relates to favoring masculinity over femininity. I think this is a different issue that you're bringing up, which is the issue of the changing etiquette surrounding gendering people in public (i.e. assigning people mentally to gender categories). There's no consensus in society currently, about how to handle this, and different people sometimes advocate for, or even demand, competing treatments, making this stuff seem hard to navigate. My personal view is that I think it's fine to have an open conversation about how to refer to a person...but that the key aspect is that it's coming from a place of respect. So like, if you're thinking: "I'm not sure if that person wants to be treated or addressed as female, male, or gender neutral." I think that's good and respectful, especially if you're open to being corrected by the person and then you accept whatever the person says without arguing with them. This approach works well for everyone--whether cis or trans, whether binary or nonbinary. I think the "is that a guy or a girl?" thing can get a bit rude for multiple reasons, but...it depends on the context. I think part of the reason people object to this is that it's making an "essentialist" commentary, i.e. what a person "is" rather than acknowledging the subjectivity of our own gendering of someone. It also erases nonbinary and intersex people. And it can be problematic for trans people too. I have people speculate about me that way from time to time. I've had people stumble over addressing me as "sir" and "ma'am" and I have gotten both "Sir I mean ma'am" and "Ma'am I mean sir". I often find it funny. I think it stops being funny only if people start treating me with disrespect. With respect to bearing children, giving birth, and all those things, I think it's important to remember that not all people with female bodies choose to identify as female, and some of those people who identify other ways, still end up having their own children. I've spoken with some of those people who get frustrated that all of the support networks and structures and literature in society is so strongly gendered, i.e. it's all geared towards women, talking about "womanhood", and framed in stereotypical ways of how women tend to want to support other women. So like, a transmasculine person might feel lost in this whole process -- they want support, they want guidance, they may want medical care, but they don't want to be treated "as a woman" through the process...with all the baggage that comes along with it. Interesting article, I enjoyed the video as well. I experience an even deeper aspect to this phenomenon. This maybe far from your point but something I feel falls into the same topic of discussion. I find more and more females grooming and dressing like men and yet they are offended if you identify their gender, even in a normally acceptable manner. For example, I was shopping for glasses at the mall with my daughter, we both had an eye exam and were buying new glasses. A, what I guessed to be a young woman, approached us asking if we needed help, we told her we were picking out new frames. When she walked away I leaned into my daughter, whispering in her ear, "Is that a male or female?" My teenage daughter was aghast, she said in a embarrassed whisper, "Mom you can't say that." I responded, "say what?" She said, "Shhhh I'll tell you later." What I figured out privately, was a female (obviously acting like a man) waited on us, talked A LOT on and on, thought she would never shut up so we could get out of there. NOW now, I say acting like a man because it's obvious when a person is trying to hard to be something they are not, it is a basic sense we all have and this "person" was doing just that. When out of the store I told my daughter, "SPILL!" She explained to me that it is unacceptable to call a person boy or girl because that is identifying their gender and we are not allowed to objectify another human being like that ." I laughed, "Oh my this generation is in for some hard road ahead, life is not a feelings fest, you deal with all sorts of people and it is vital to have thick skin." She said, "I agree Mom." The thing is this, successful people don't waste time with silly things, I'm a product of the 80"s and we have a saying, "F the dumb Shat" and this (to me) is dumb shat... There are far more vital topics to lend our energy in MHO. I saw the struggle my Mother and her peers faced the blood, sweat and tears they sacrificed to earn the rights and privileges we now enjoy. . 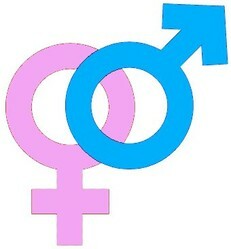 Male and female, masculine and feminine, are complementary and should be in a harmony of mutual love and respect. Have you ever wondered why some men will allude to your 'looks' or level of education in a negative way during a disagreement? How to identify gender based censorship. Do you really know what feminism means? Has the old, patriarchal paradigm succeeded in skewing the essence of feminism, turning it into a dirty word? One hundred years after the birth of Emily Wilding Davison, I was born in the same country. Comparing our lives highlights the changes that were wrought.